Raku Art & Technique is a complete and contemporary introduction to a traditional art. Raku is the centuries-old Japanese pottery technique used in the making of ceremonial tea bowls. Today, potters have extended the range of raku far beyond the tea ceremony, bringing to modern ceramics the simplicity, softness, modulation of color, freedom, and naturalness of form that characterizes fine Raku. Raku offers an early art experience that is an exciting, quick, and excellent capsule introduction to the fundamentals of ceramics: clays and clay-working techniques, tools, drying, kilns, bisque firing, intermediate firing, glazes and glazing, glaze firing, and after-firing techniques. 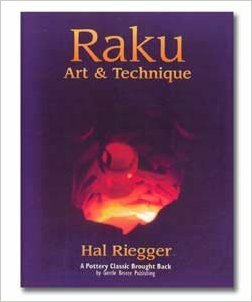 Raku Art & Technique includes glaze recipes, instructions for building a variety of kilns, line drawings and over 100 black and white photographs.